At the Birds of Vermont Museum, students of all ages learn about the birds that make up such a colorful, essential, and interesting part of our world. 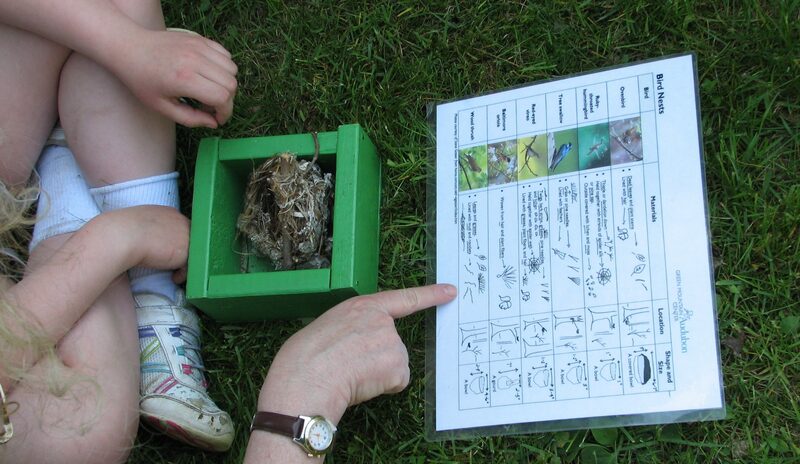 Discover birds in their natural habitats. Explore their roles in ecosystems. Learn from detailed, life-like carved wooden birds that cannot fly away, but look like they could. School, camper, scout, homeschool, lifelong learner, and other groups find trips to the Museum a way to expand what they learn offsite, and to spark new interests and skills. 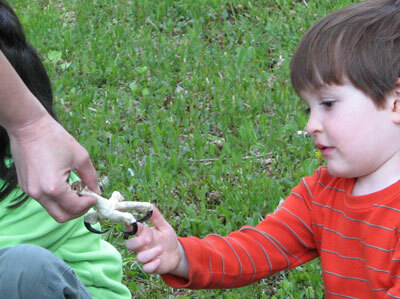 We offer science and art opportunities indoors, outdoors, and in partnership with Audubon Vermont. Visits typically last 1-2 hours, and groups of 10 or more get a discounted admission. We offer standards-compliant curricula for some ages, and will work with you to build an educational field trip that suits your teaching needs. We have special offerings for groups of students and campers, including age- and grade-specific guiding questions, directed explorations, and scavenger hunts. We have information to help Scouts with badges and belt loops as well. Contact us to schedule your visit. When your group arrives, a brief video gives background information about the Museum, its history, woodcarving, and birds. Students tour the Museum in small groups, discovering birds in their habitats, close-up. Using our guided investigation handouts, students focus on ecosystems, bird identification, adaptations, migration, or other topics. Carved birds appear to stand, walk, perch, sing, feed… yet they won’t fly away! A viewing window allows learning from live birds (when they come to the feeders). We have guide books for identification, bird anatomy, and more. We have 100 acres and trails throughout the property. We are an Audubon Important Bird Area and a National Wildlife Federation Certified Wildlife Habitat. Outdoors, students hone observation skills, practice bird identification, investigate the different species in forest upland and successional habitats, or experience new connections from our accessible Treehouse. All ages have the opportunity to learn, reflect, and immerse themselves in journaling, note-taking, drawing, writing, and experiencing the outdoors.